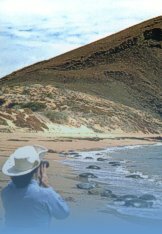 The Galapagos Islands, located 600 miles off the coast of Ecuador in the Pacific ocean, are the living laboratory of evolution. They were the inspiration for the Charles Darwin evolution theory that produced a revolution in human thought which we can still fell now. This group of 13 mayor islands and dozens of smaller islets and rocks - all the result of volcanic activity - certainly appear to be out of this world. They are, in fact, an unpredicted wilderness, filled with extraordinary population of unique species which have developed apart from humans and their dominating influence. 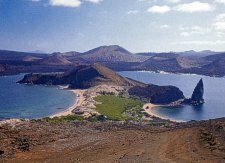 In an effort to preserve the islands as they were centuries ago, the Galapagos have been declared a World Heritage Site by UNESCO. Any traveler to Ecuador should not miss this amazing wonder of the world. 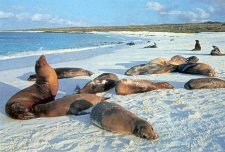 The Galapagos Archipelago is a truly unique place in terms of its animal life. Not only did the Archipelago's unique fauna and flora give rise to Darwin's theory of Natural Selection and the Evolution of Species, but its unique endemic vegetation also makes it an earthly paradise. 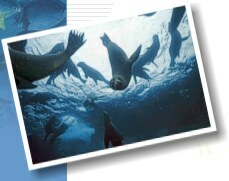 Come and be part of the scene on a Galapagos Cruise, walk with the turtles, swim among the seals and race with the dolphins. Our fleet of luxurious cruise yachts are the perfect way to explore the mesmerizing ecological wonderland that is the Galapagos.